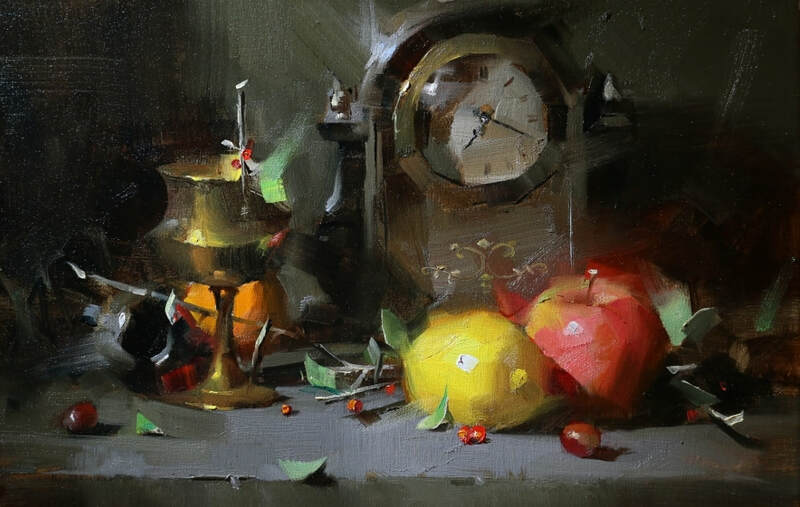 Qiang’s approaches to still life painting will be demonstrated with particular focus on composing dramatic set-ups by observing the light distribution, and using bold and loose strokes to create a powerful and accurate representation on canvas. Using demonstrations, presentation, and individual assistance, Qiang will explain his process of creating energetic paintings by manipulating values, colors, edges and brushwork. 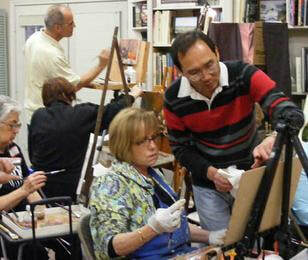 Personal attention will be given to each student according to their current skill level and personal goals in art. This workshop is designed for indoor practice with live settings. Qiang Huang (pronounced as Chong Wong) came from China. He has studied art from multiple master artists like David Leffel and Sherrie McGraw. His paintings show remarkable accuracy and expressive brush strokes. Since 2004 his paintings have been selected continuously for the 14th, 15th, 16th and 18th Oil Painters of America's National Juried Exhibitions. American Artist Magazine has featured his teaching on the summer issue of the "Workshop".